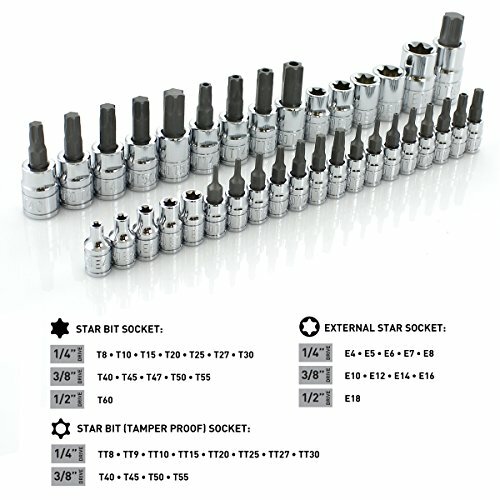 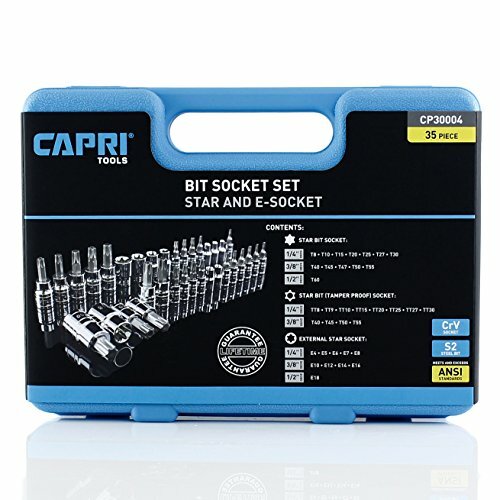 The star/torx bits in this set are made from heat-treated S2 steel alloy to withstand long-term use, the sockets are composed of Chrome-Vanadium to provide optimal strength and durability. 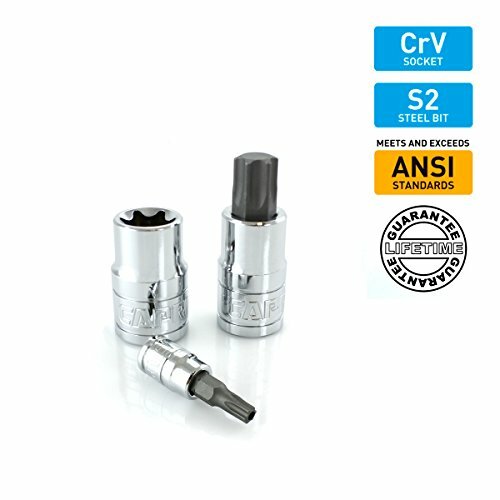 The pieces also have a chrome plating to prevent rusting and corrosion. 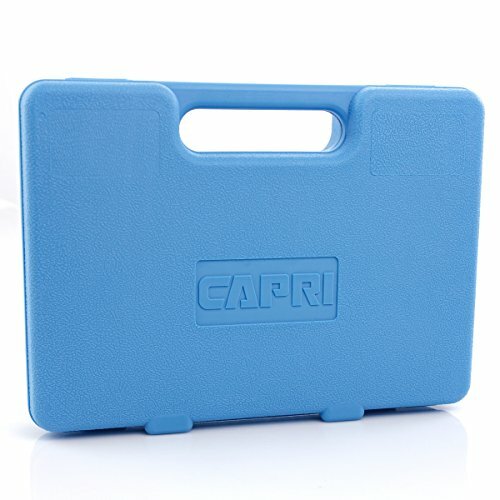 This set comes with a convenient blow-molded storage box for portability and protection. 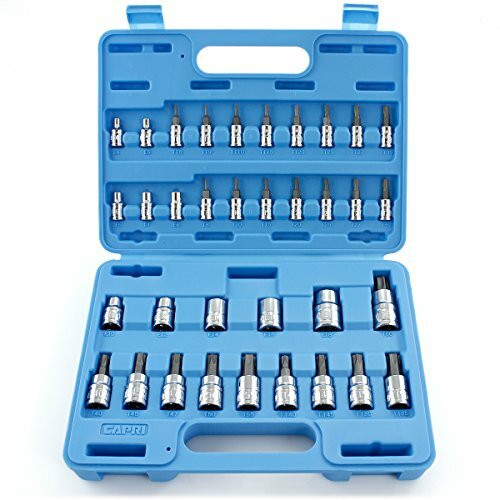 These are perfect for use with breaker bars, torque wrenches and ratchets (not for use with impact tools). 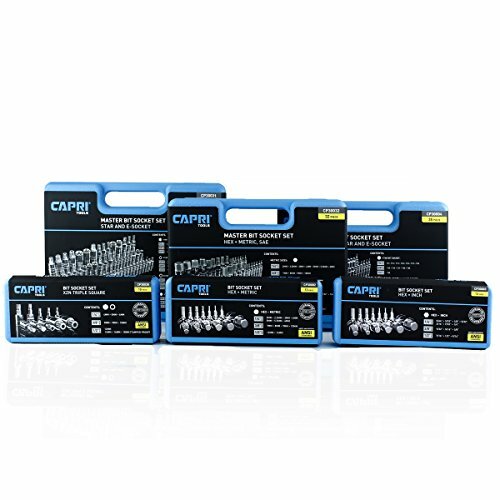 This set meets and exceeds ANSI standards and comes with a lifetime replacement guarantee.